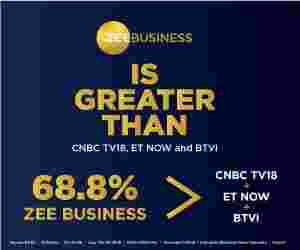 Ramesh Singh, Executive Director, Dena Bank, in an exclusive interview with Anil Singhvi, Managing Editor, Zee Business, said this merger is beneficial for the bank as well as its customers. The merger process is likely to be completed in the next 3- to-6 months. BoB-Dena Bank-Vijaya Bank merger: Should you buy 111-year-old Bank of Baroda shares? Q: What does the merger mean for the Dena Bank? A: Dena Bank has been a small bank with maximum branches in three states, namely Gujarat, Maharashtra and Chhatisgarh, but this merger will be beneficial for it as it will help in expanding our base across India. We will reap the benefits of the base of Bank of Baroda across India and Vijaya Bank in South India for expansion. Q: Can you give us a timeline for this entire merger process? Will, it be completed in the ongoing financial year or will we have to wait for more time? A: We will try to make it at the earliest and hope that the process will not take more than 3-to-6 months. Q: Talks are there that the merger of the three banks, namely Dena Bank, Vijaya Bank and Bank of Baroda, is beneficial for Dena Bank. But can you tell us that this amalgamation process will take place by considering the books of the three banks or something else? A: Any comment on this will be a pre-matured statement. It will take time and for the purpose, we will have to go to the board for approval for this consolidation and the decision on pricing on this amalgamation plan will be decided in accordance to the norms. Q: Do you think that this is the best combination for the amalgamation or there would have been something better than this? A: The proposed amalgamation is beneficial for the country. I think the talks on such events began in the 1990's when the Narasimham committee in its recommendation suggested creating a base for big banks so that they can survive at the world level. In fact, the process was started with the merger of State Bank of India with its associate banks.